According to a legend, an encrypted message was found in a cave of the Untersberg, a mountain in the Northern Alps. The cleartext is not known. The Untersberg is a mountain massif located near Salzburg, at the border between Germany and Austria. To my regret, I have never been there, though I have visited the region several times. The highest peak of the massif is the Berchtesgaden Hochthron at 1,973 meters. The Untersberg is widely known for its over 400 caves, which represent one of the largest and deepest cave systems in the Alps. It includes a 300 meters high dome and several subterrenean lakes. 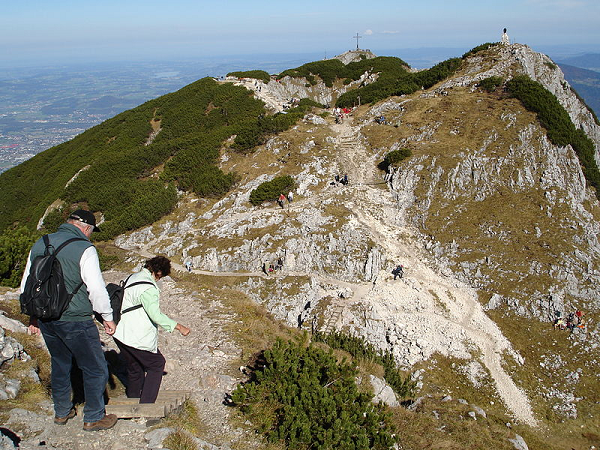 The Untersberg massif has been the subject of numerous myths and legends. According to a popular tale, German emperor Friedrich Barbarossa is asleep inside the mountain. Myth says that when his beard has grown three times around a certain table the end of the world has come. Other legends say that it is Charlemagne waiting inside the Untersberg. Every hundred years he awakes and when he sees ravens still flying around the Untersberg, he sleeps for another century. Indeed, Charlemagne held a synod at Salzburg in the year 803. S. d. d. occo. 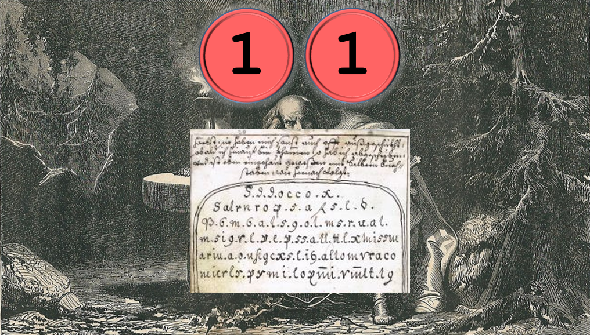 x.
Satrnrop, 5. a. f. 5. l. d.
P. 6. m. 6. a. t. 5. q. o. t. m. 5. r. u. a t.
There are plenty of websites mentioning the Untersberg code. However, many of them look pretty pseudoscientific, written by authors, who are more interested in strange stories than in a real decipherment of the cryptogram. Apparently, there is a metal plate bearing an inscription that is very similar to the Untersberg code. Click here to see it (for copyright reasons, I can’t include a picture here). I have no idea where this plate comes from. As far as I know, there is no examination of the Untersberg code made by an encryption expert. As the original of the encrypted text was allegedly carved into rock, it could still exist today, but nobody has found it so far. After my first article about the Untersberg code (published in 2014 in German), some 25 readers published comments about this crypto mystery. Some wrote that the transcription might be wrong in some places (in fact, some of the letters are hard to read). Some speculated about the way the cryptogram was encrypted, but nothing came even close to a solution. The encryption systems of the 16th century were not especially secure. 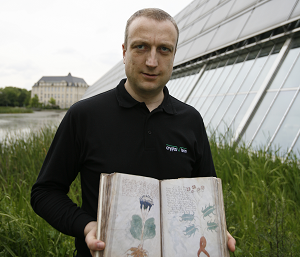 So, if the Untersberg code is really an encrypted text, it should be possible to solve it. 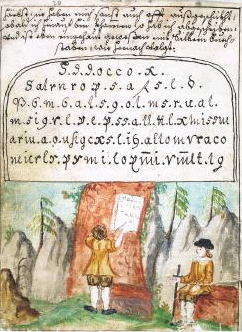 Some knowledge of ancient German or Latin might be more helpful than codebreaking skills. On the other hand, it is far from sure that we deal with an encryption here. It could also be an abbreviated text, a meaningless letter sequence, or something else.